Bell Ingram has announced a promising start to 2015 with the prestigious appointment of a new estate agent boasting 28 years of experience in the industry. 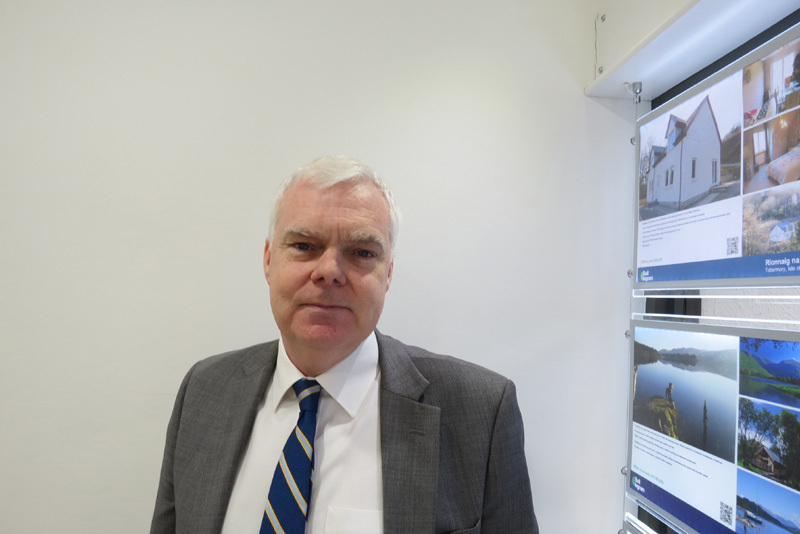 Clayton McGuiness, who is originally from Renfrewshire and has worked in the industry since 1987, joined the leading land and estate agent in January. He will be based in the firms’ Oban office focussing on properties across the Argyll area. Property experts at the firm believe Clayton’s experience will prove invaluable and are looking forward to the impact he makes both internally with the team and externally with their clients. Clayton’s passion for property began whilst working as a Lab Technician for the Land Valuation Unit and the Land Economics Department at Paisley University. He then went on to work full time in the property industry and set about garnering experience in some of Scotland’s best known estate agency firms, including Slater, Hogg & Howison, Allen & Harris and Martin & Co.
Clayton said of his new role: “I am delighted to be working for a company as highly regarded as Bell Ingram and am looking forward to the new challenges the role will bring. “Having worked in property for 28 years in the west central area of Scotland, I am looking forward to a change and to the diversity of work that will come with working in a more rural area of Scotland. “I believe that my past experience in advising in the buying and selling of properties in changing and diverse markets has equipped me well for this industry and I am keen to apply this experience to my new role. Always looking to appoint those with considerable expertise and experience in its various key sectors, Joanne Stennett, Property Manager at Bell Ingram’s Inverness office, believes that Clayton’s appointment will only serve to benefit the company in its position as one of Scotland’s leading land agents. Joanne said: “It’s a thrill to be adding Clayton to our team of experts here at Bell Ingram. “His wealth of experience will be vital when assisting current and future clients with valuable advice in property, a key focus within our multi disciplined business. Established in 1899, Bell Ingram is a multi disciplined firm of chartered surveyors, forestry managers, estate agents, architects, building surveyors and energy specialists. With more than 130 professional staff across 11 UK offices the firm provides local knowledge with national coverage. To find out more about the range of services Bell Ingram offer visit www.bellingram.co.uk.